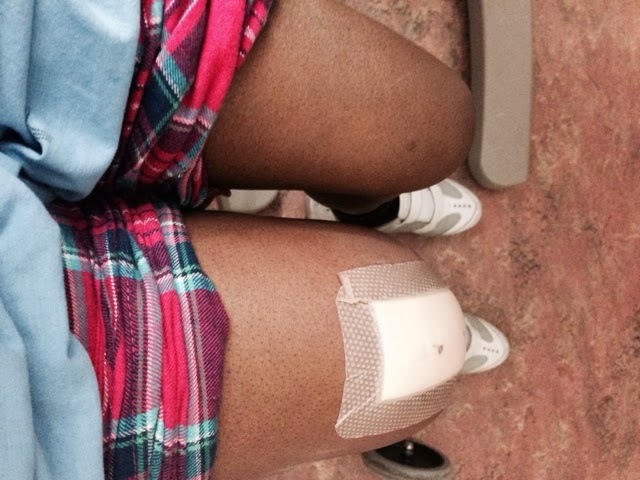 I really wanna blog about my knee surgery. I really do. I don’t know if it’s the pain meds that seem to be breaking my brain or what, but putting sentences together is a difficult task for some reason. So, I’ll post pics for now and try to create an actual post later…! Pre-OP legs. Top of the pic = knee that will be operated on. One day before surgery. 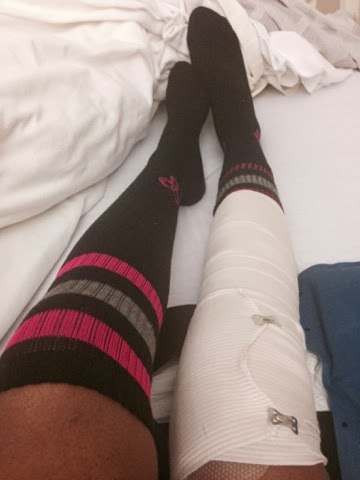 Post OP-wrapped with compression. Nerve block was still working then so little/no pain here. Pic taken same day as surgery-Jan 22. My cryo cuff. Helps keep the swelling down. My best friend for the next little while. Post OP, sans compression tensor bandage. Swollen city. So swollen in fact that I had to remove the (baggy) pyjama pants I was wearing-They got too tight. Mega levels of pain here. 7/10 MINIMUM on the “how would you rate your level of pain from 1-10” scale. 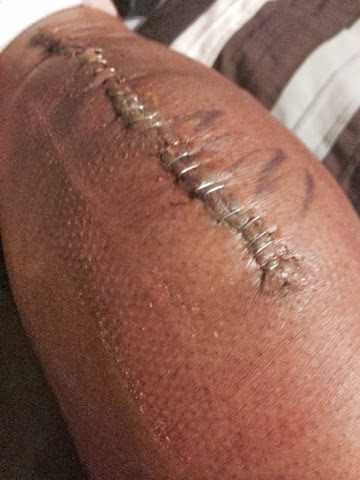 My knee 3 days post OP. I just peeled the bandage back so I could take a picture of what the staples looked like. Note my doctor/surgeon’s initials written on my knee to make sure the correct area is being operated on! That’s an “N” and an “M”, FYI. 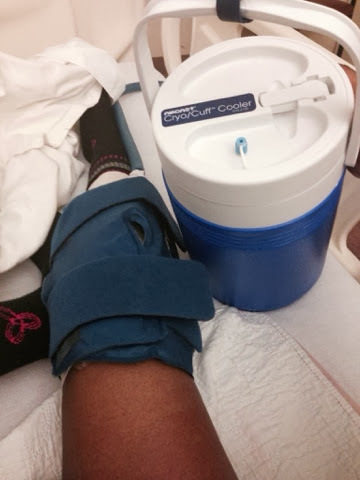 Do the rehab…I am Lupie one year postop with a new knee…exercise and move when they tell u to!